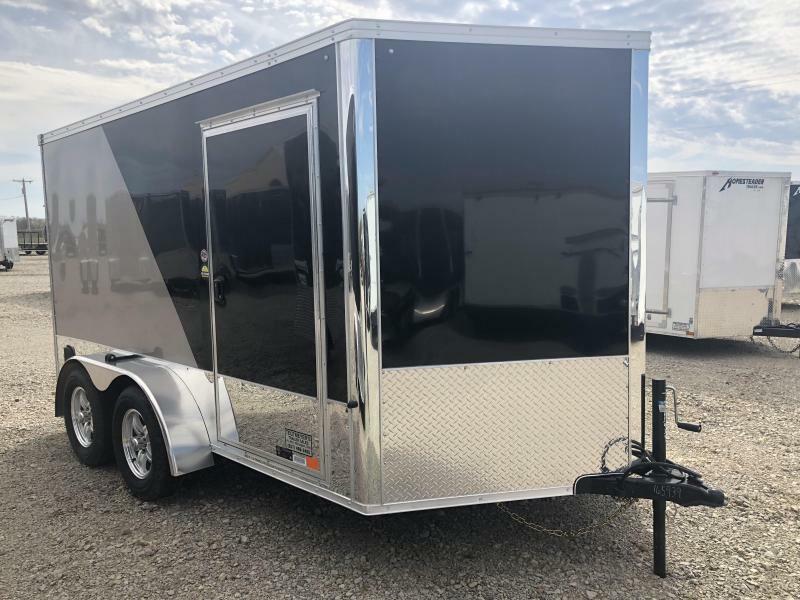 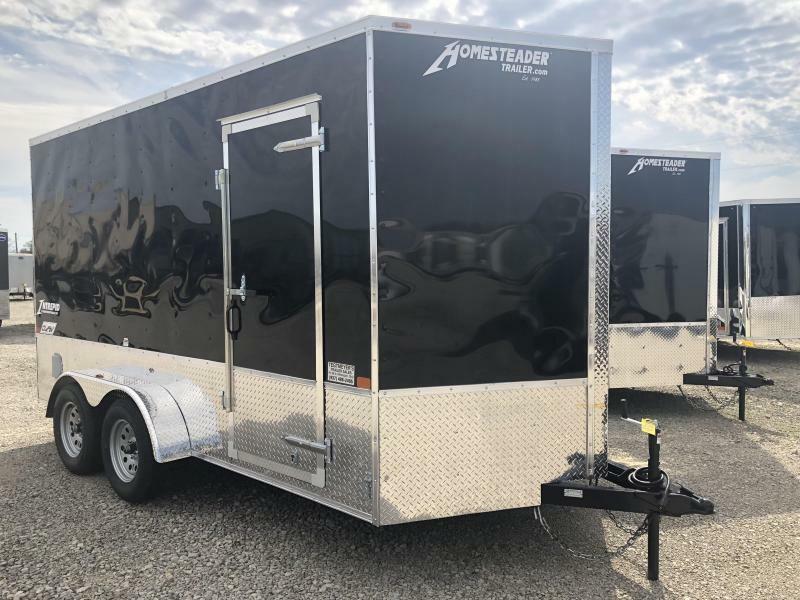 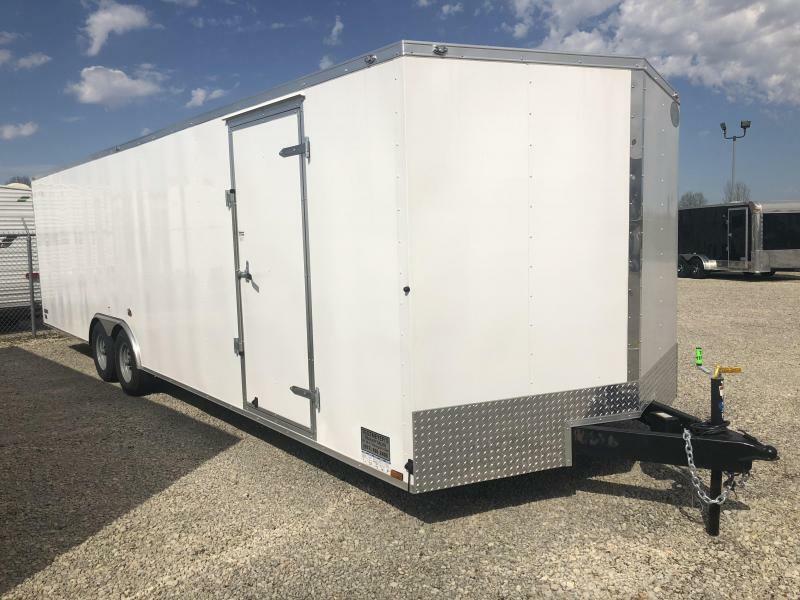 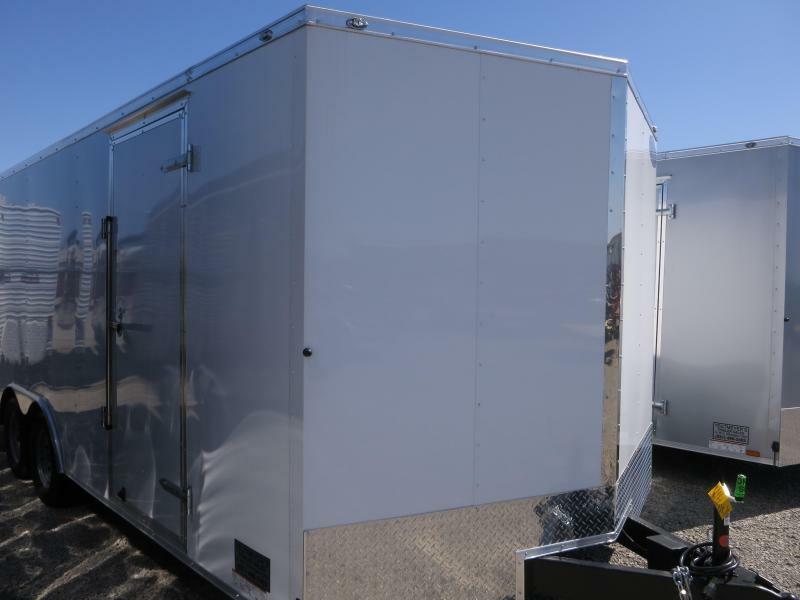 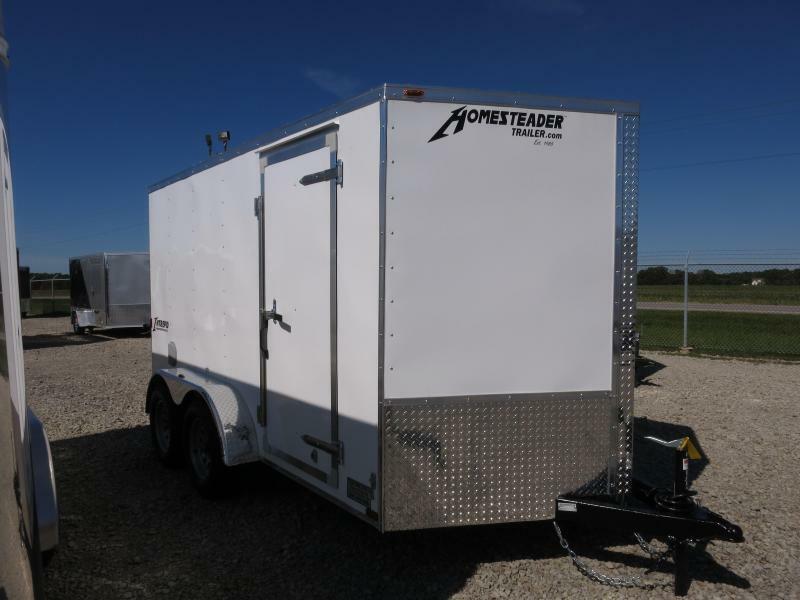  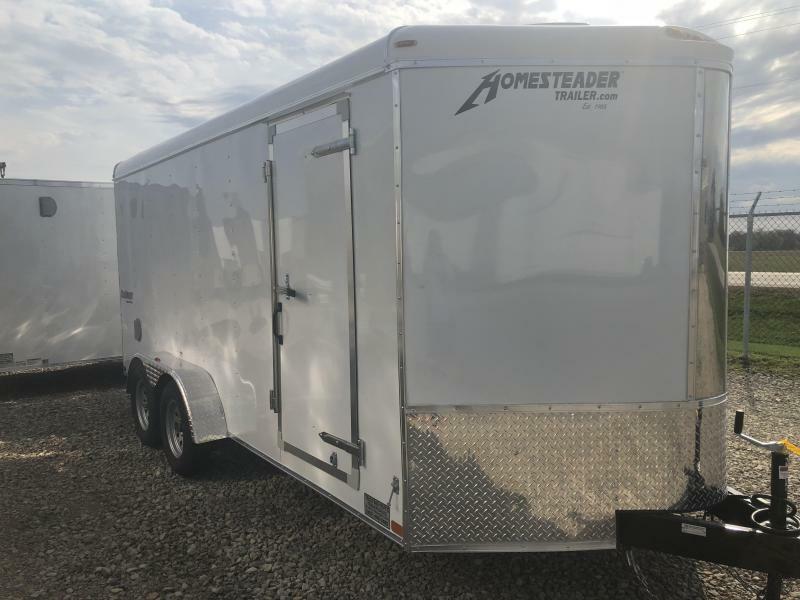 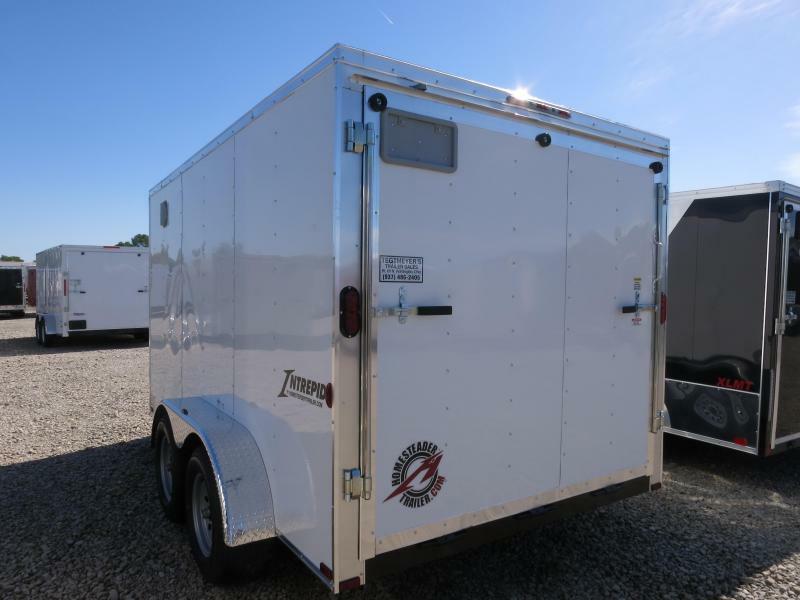 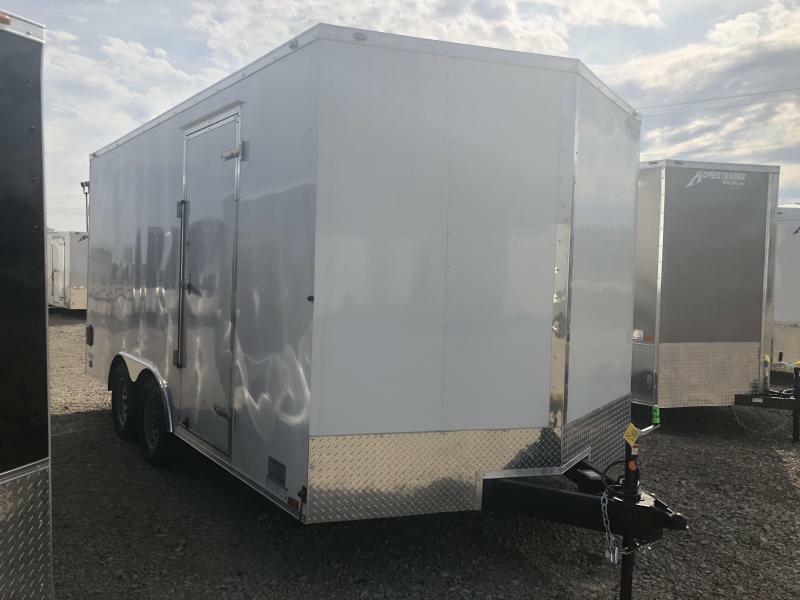 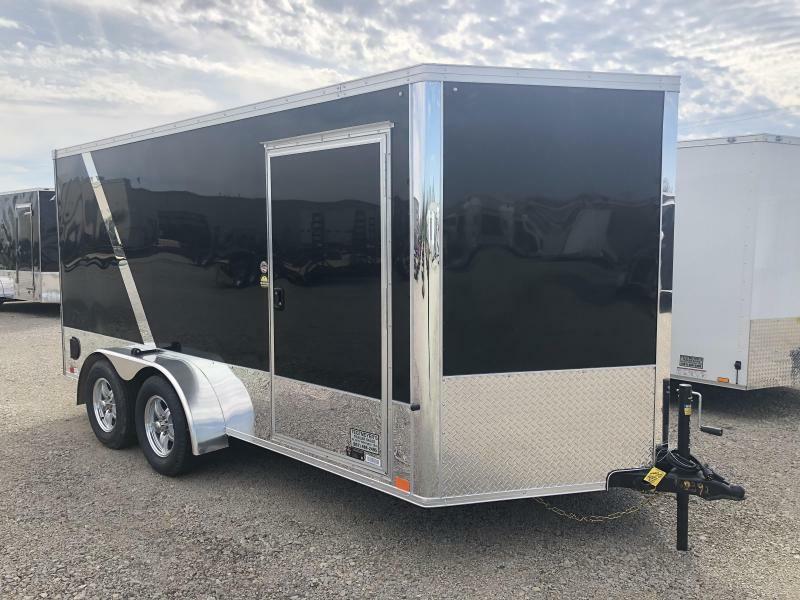 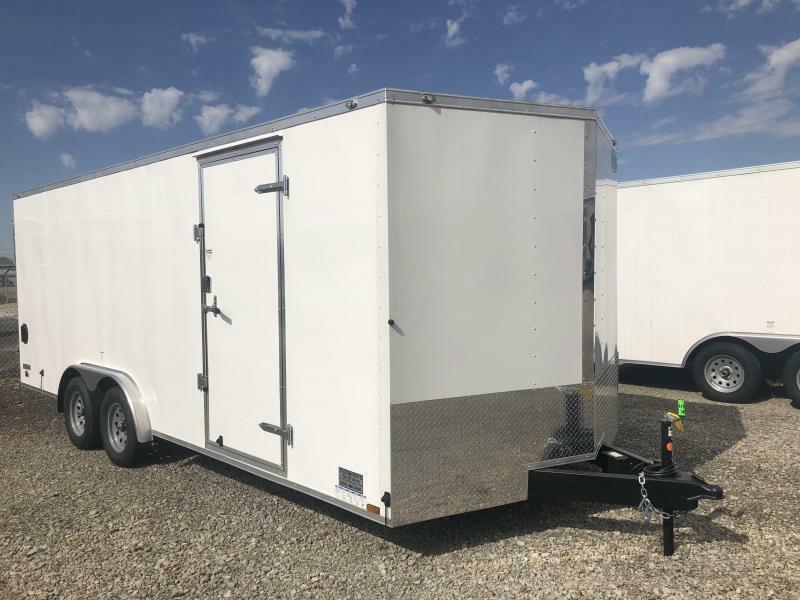 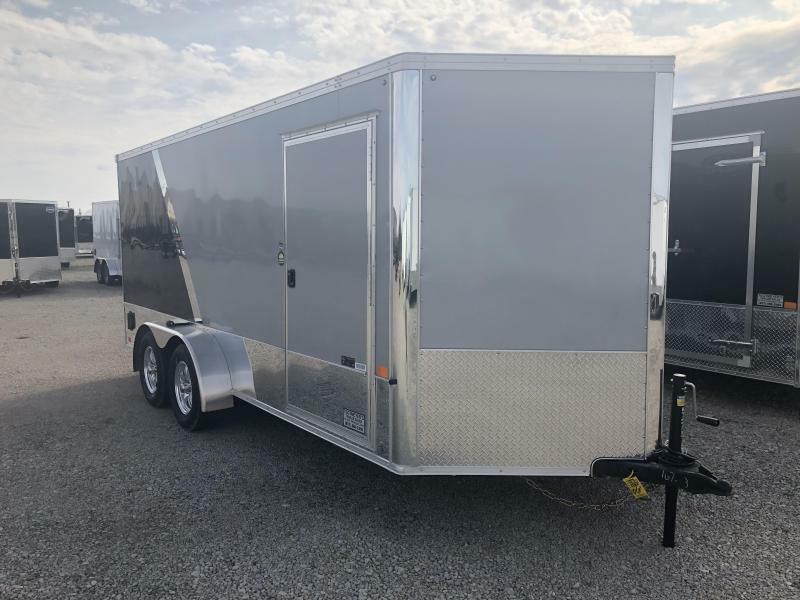 The Homesteader 7x12 Enclosed Trailer is white in color. 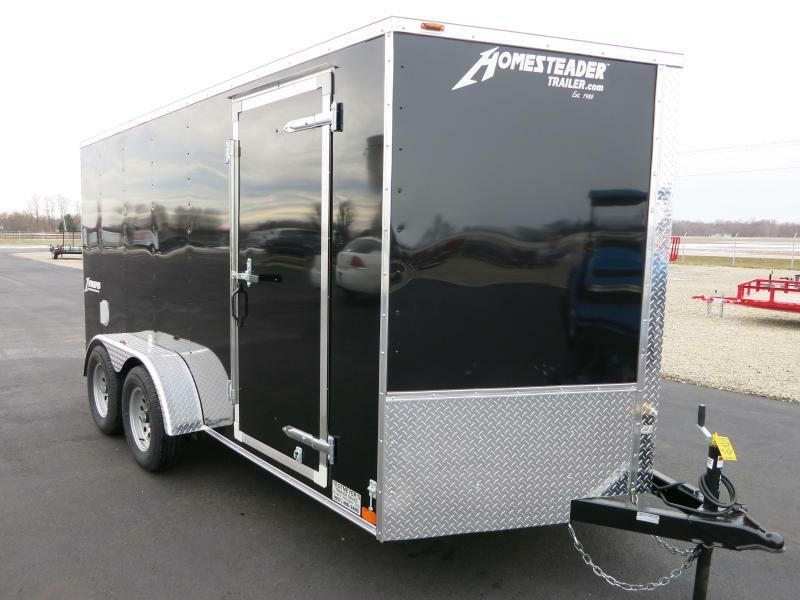 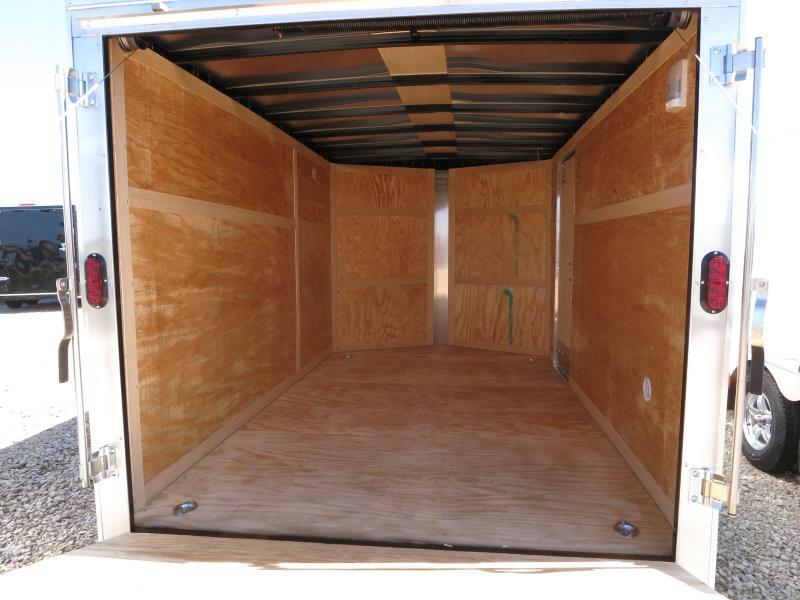 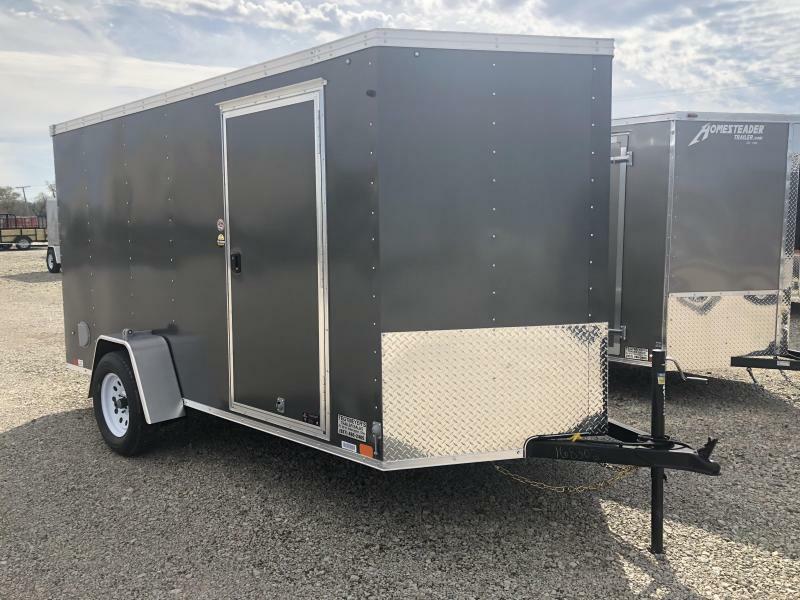 The trailer has 7000 gvw, rear ramp door, stoneguard, side wall vents and side door. 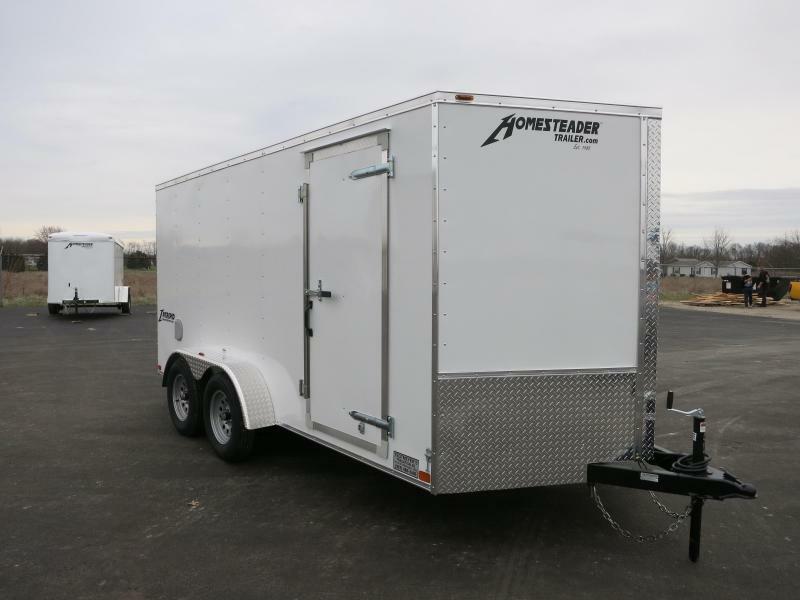 The trailer is a Intrepid (formerly Patriot) model.